(Welcome to the Get in Gear Annual Rite of Spring. We are so proud to celebrate 40 years of our event that is so richly steeped in history and tradition since its inception in 1978. 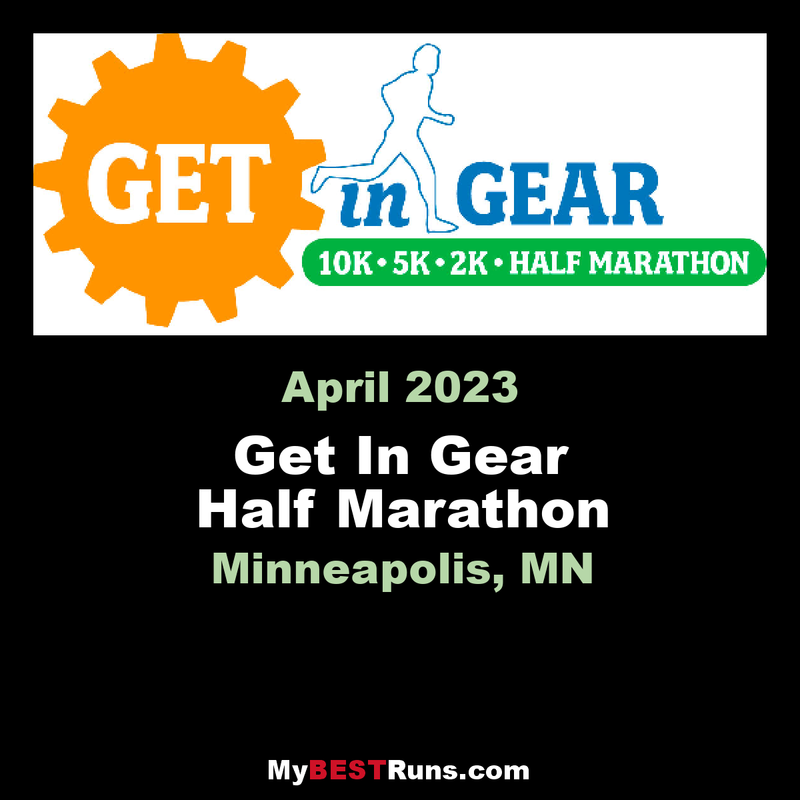 It is very exciting to be a part of the running industry within our community and to continue to provide high quality and well managed running events as the overall mission of the Get in Gear. The races follow an out-and-back course that starts and finishes at the city's Minnehaha Park, a 193-acre city park that marks the spot where the Mississippi River meets Minnehaha Falls. From there, runners follow the loop course in a clockwise direction along the river -- nearly the entire course unfolds along either side of the Mississippi -- leaving the park along Godfrey Road and then turning left onto West River Parkway. Start and Finish line are the same location. 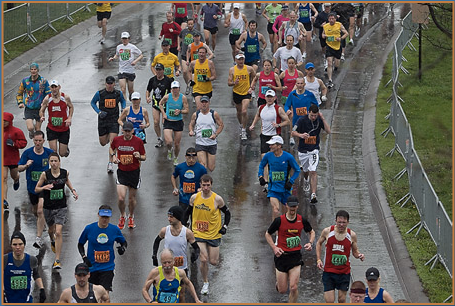 The Half-Marathon will have a total of 3 water stops with Water Stop #1 and #2 being passed by twice. The final water stop will be the same water stop at the 5K mark of the 10K course. For those that have run the half marathon in the past, the final water stop is what was the first water stop from the previous course. All participants are expectedto complete the course byNoon when officials expect to re-open all roads including the finish line. 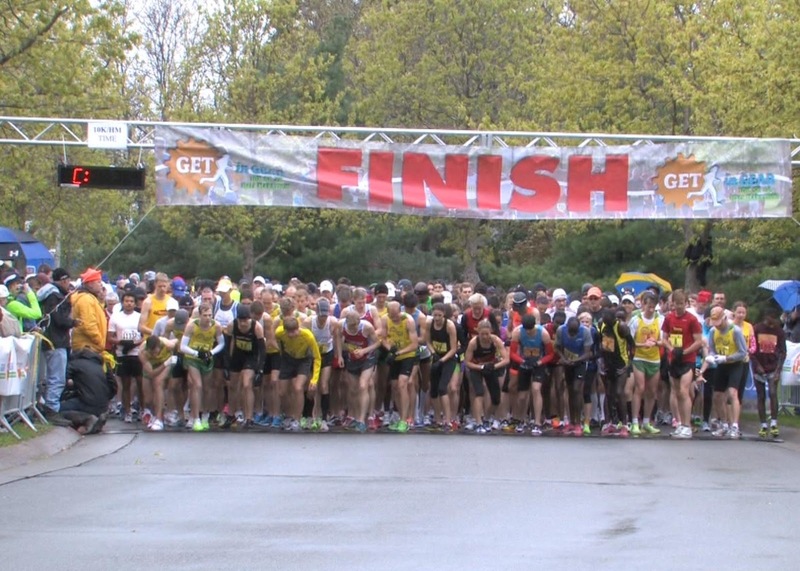 We will be evaluatingtime lines to determine if there will be a cut-off in the future to ensure the half marathoners reach the finish line by no later than Noon.